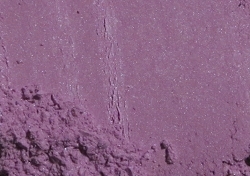 Lilac shade which can be rubbed down to a cool mauve if desired. Very slight sheen. This shade contains no dyes. Lip safe, eye safe.